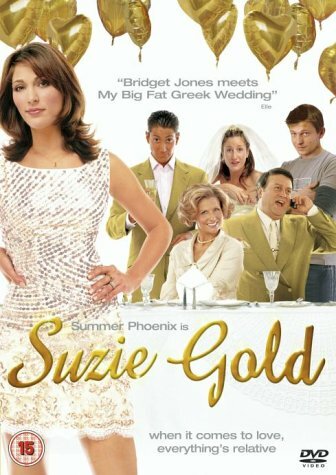 As Suzie Gold's sister prepares to get married, it seems only natural that Suzie's thoughts should turn to the state of her own love-life. While her doting but dysfunctional family desperately want her to be happy - preferably by finding a good Jewish boy to settle down with - Suzie meets Darren, a boy from work, and they start a heady romance. But the relationship sours when Suzie finds herself unable to bring him home, worried that he won't match up to her family's exacting (double) standards. Heartborken, Suzie begins to question her role in life, and develops a need to break away from the family and traditions that have always defined her. But she is soon approached by perfect son-in-law material Anthony Silver (nice Jew, nice job, nice car) who quickly assumes, as does her family, that she will marry him. While the pressure builds for her to tie the knot, Suzie is forced to decide what she really wants out of life - and whether to follow the path laid out for her, or to make her own way through uncharted territory.